Maureen has been a stylist for over 30 years. She specializes in cuts, colors, foils and keratin. Throughout the years, Maureen has worked with multiple color lines. 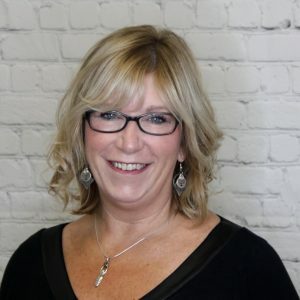 She has loved working in the salon business, and she has continued to educate herself by attending some great classes in New York, Toronto, and Boston. "Now, I enjoy working with you at Simply Divine Hair Salon!" Please click here for more information on how to book an appointment with Maureen.